We take great pleasure in making your visit a memorable one. A world of privileges, specials offers, discounts, gifts and more awaits you. This card must be presented before making payments at participating outlets. 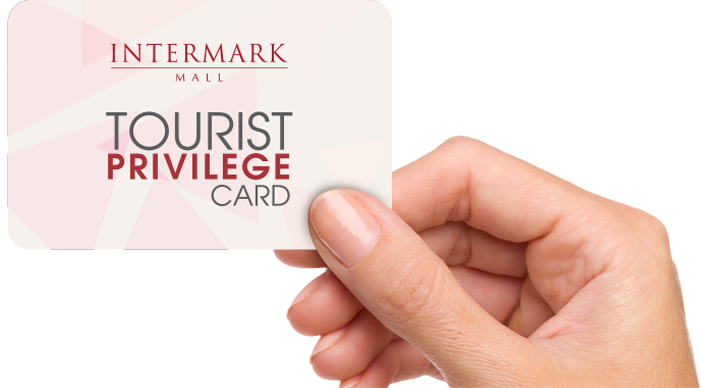 All privileges are valid at Intermark Mall outlets only. Offers are valid from now until 31 December 2018 and while stocks last. Not valid with any on-going promotions, best buys, coupons, discounts, privilege cards and agent-controlled items unless stated otherwise. Privileges are subject to terms and conditions as stipulated by participating outlets. Intermark Mall reserves the right to add, amend or withdraw any of the terms and conditions of this card, as it deems fit, at anytime without prior notice.